Individuals are so preoccupied with clutching their box of memories they miss the sparkling facets of life. 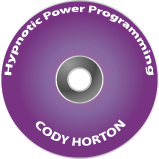 This program challenges you to move away from your preoccupation with the past and drop your fear of the future! Both places don’t exist!